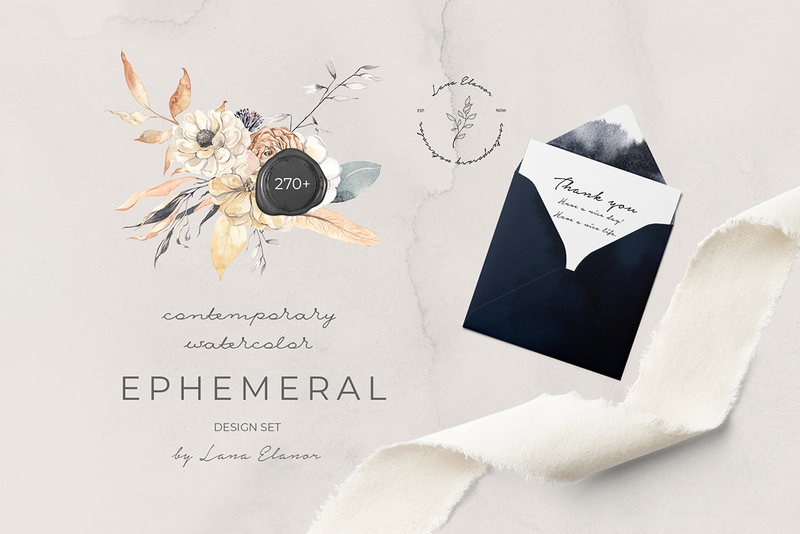 Hello and welcome to a new comprehensive and versatile collection of watercolor graphics! 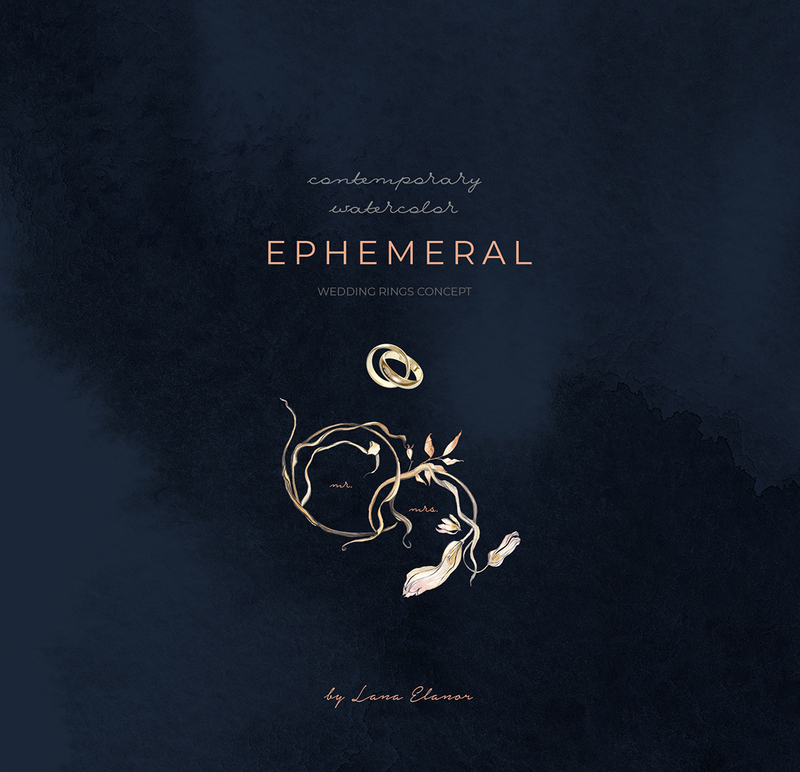 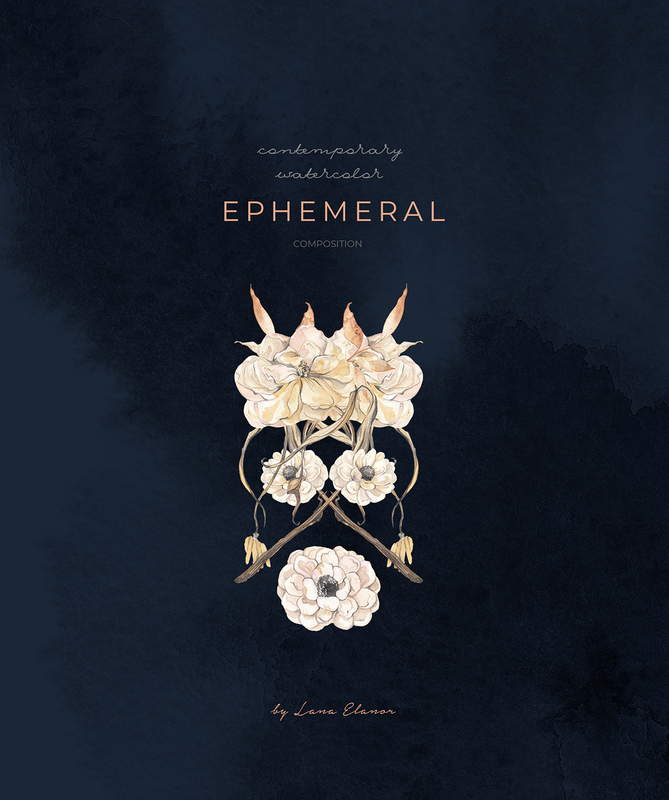 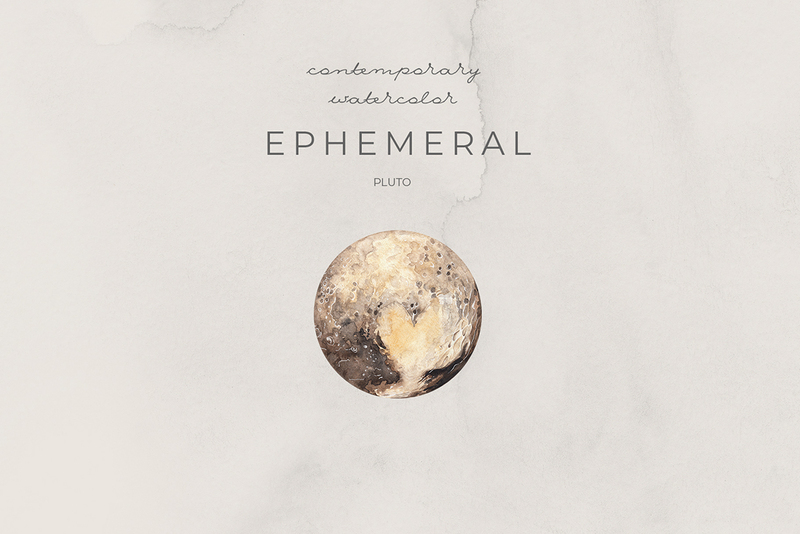 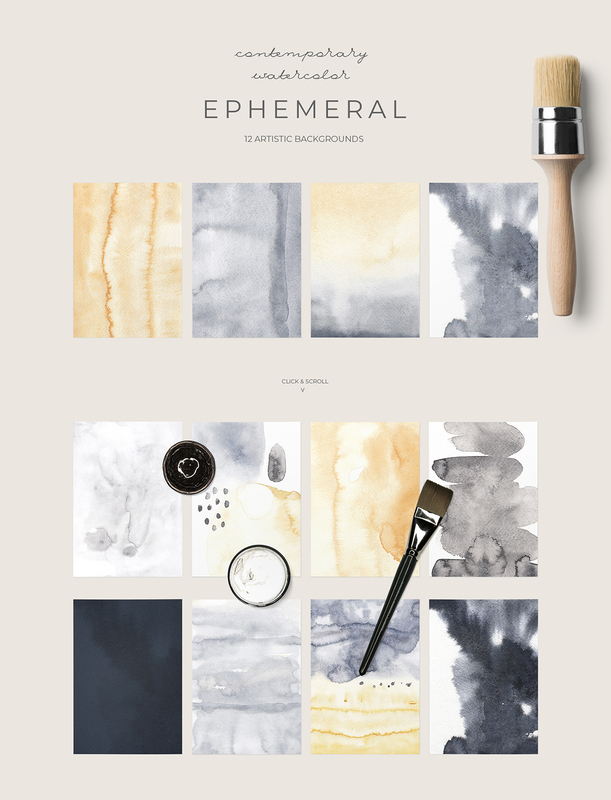 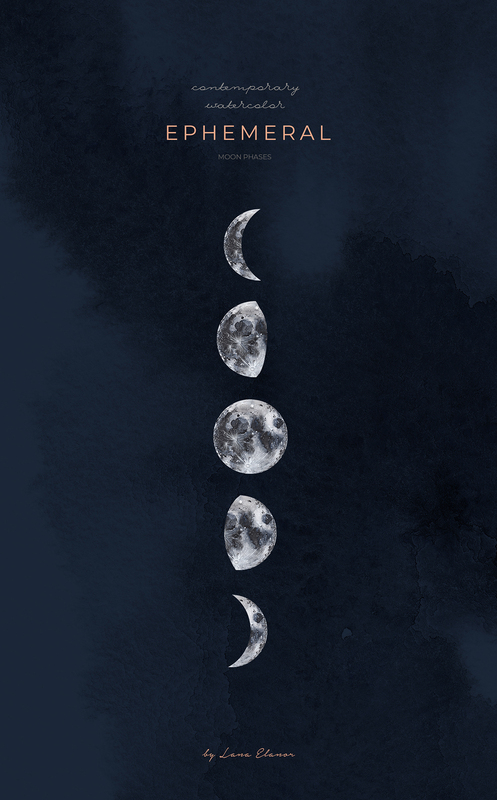 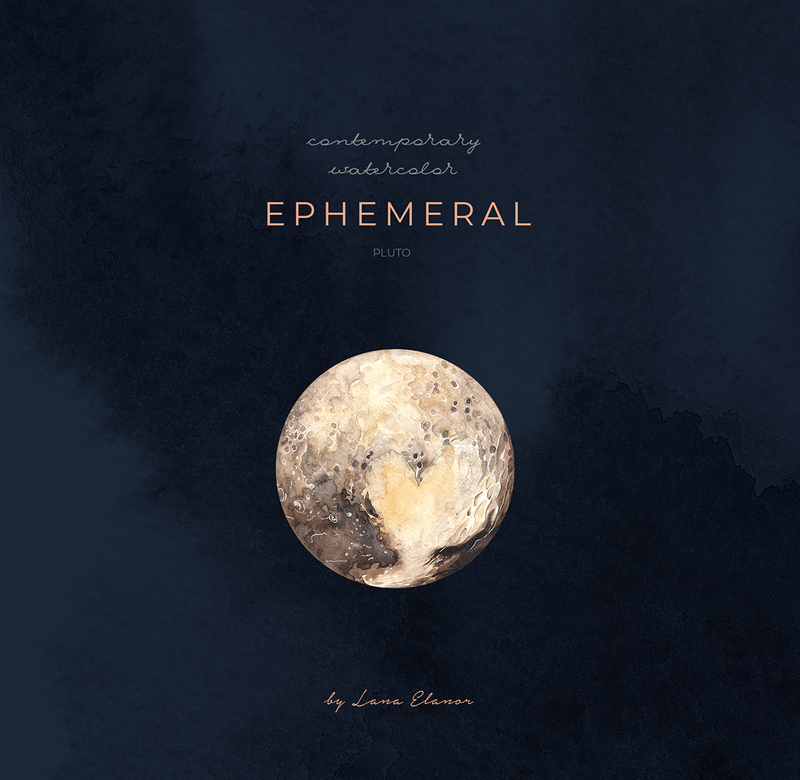 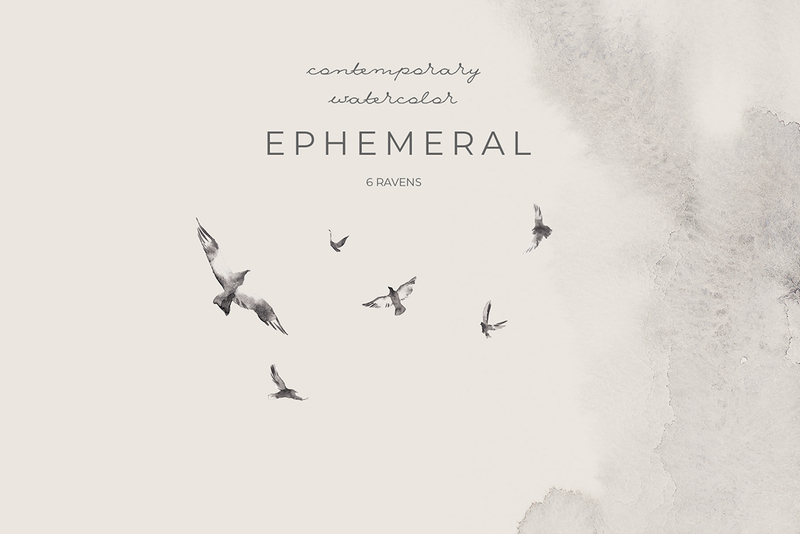 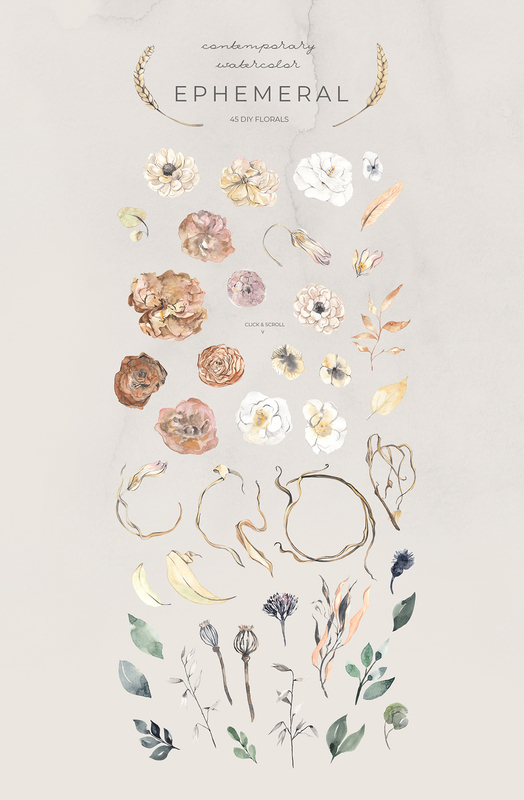 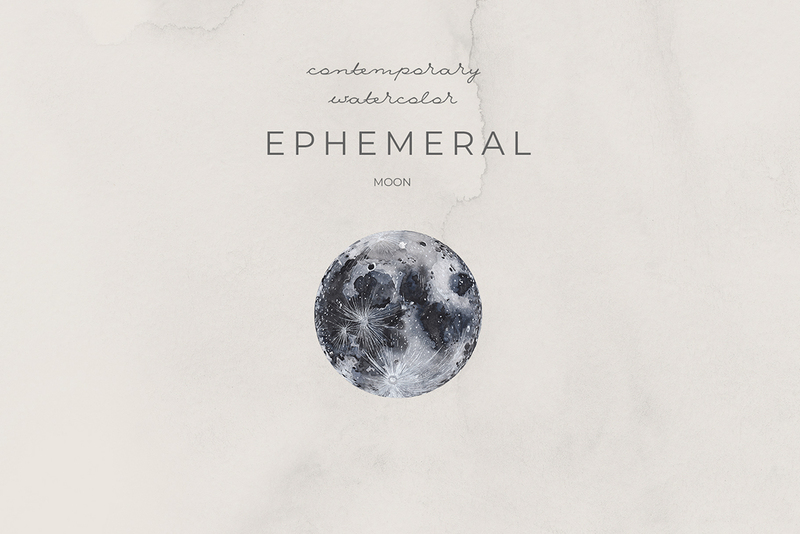 I’m so glad to introduce you design set Ephemeral: contemporary watercolor. 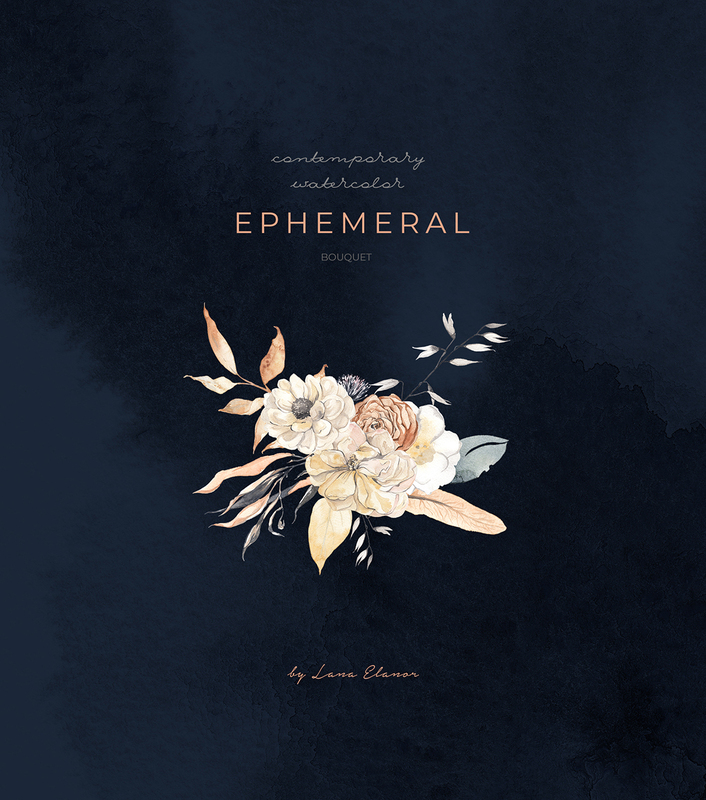 It’s all about a subtle flap of bird’s wings, a slippery and elusive phenomenon of mesmerizing beauty of a withering flower, a mystical foggy pine forest and unreachable cosmos; it’s all about transience and temporary nature of our being. 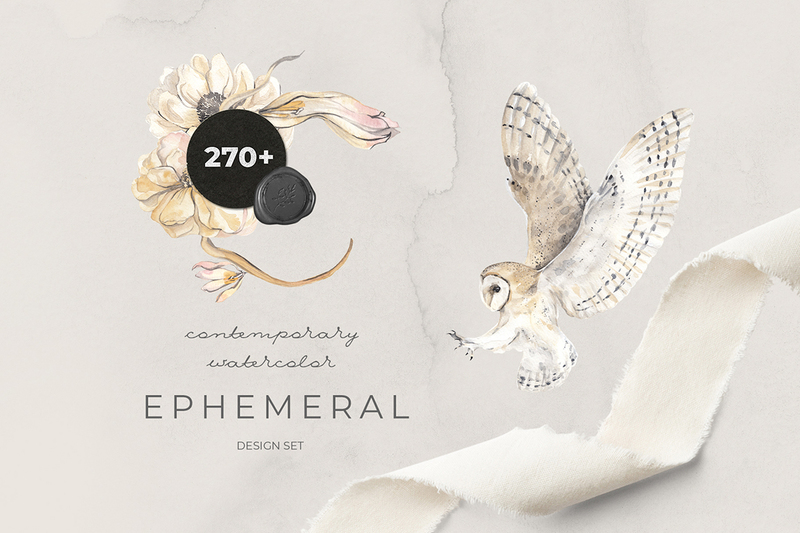 Natural, organic beauty and individuality of flower must not be lost in a modern design — such is the philosophy of this set. 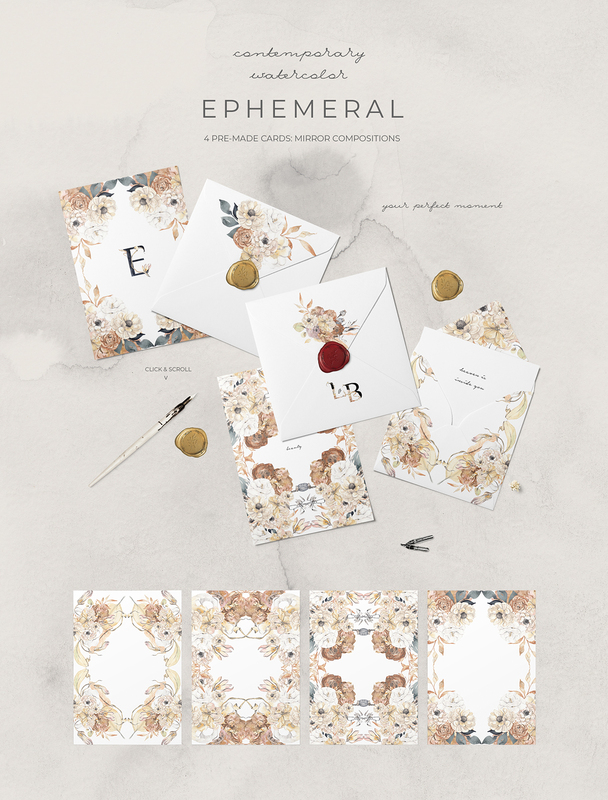 So if you want to create something not superficial, but sophisticated, eye-catching and imbued with meaning — you are so, so welcome.